What is a Furutech NCF Booster? 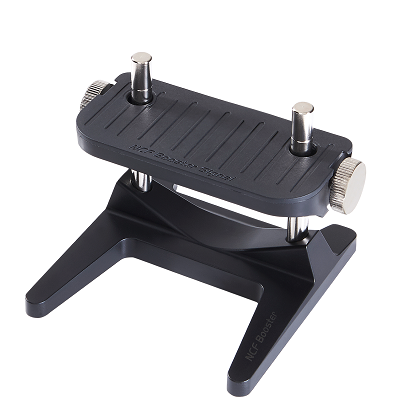 The Furutech NCF Booster is a device that secures your cables and/or connectors, using multiple materials, and a special construction that helps dampen vibrations, and optimizes performance. 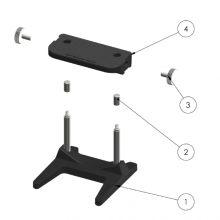 The Furutech NCF Booster Connector and Cable Holder elevates your audio cables off the floor, which minimizes the cable's points of contact with the floor, and may help reduce electromagnetic interference. 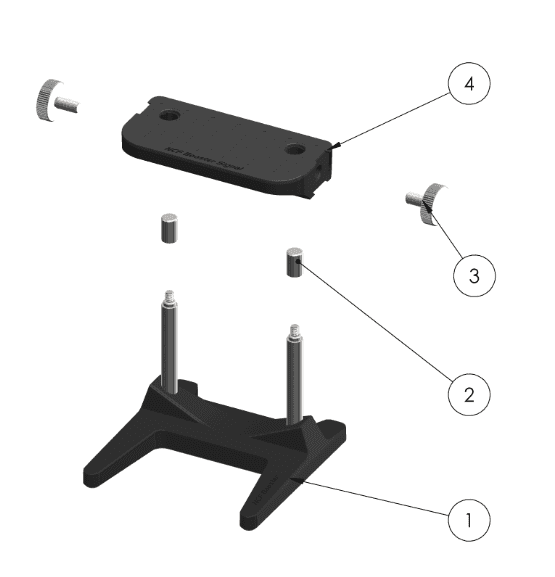 The NCF Booster also excels at providing damping support for connectors and cables at or near the connection points, as well as enabling optimum alignment between connectors and sockets. The Furutech NCF Booster also helps eliminate static – which can also boost sonic performance of your cables, with a purer and cleaner signal. Developed by Furutech, NCF features a special crystalline material that has two ‘active’ properties. First, it generates negative ions that eliminate static. Second, it converts thermal energy into far infrared energy. Furutech combines this remarkable material with nano-sized ceramic particles and carbon powder for their additional piezoelectric damping properties. The resulting Nano Crystal² Formula, exclusive to Furutech, is the ultimate electrical and mechanical damping material. 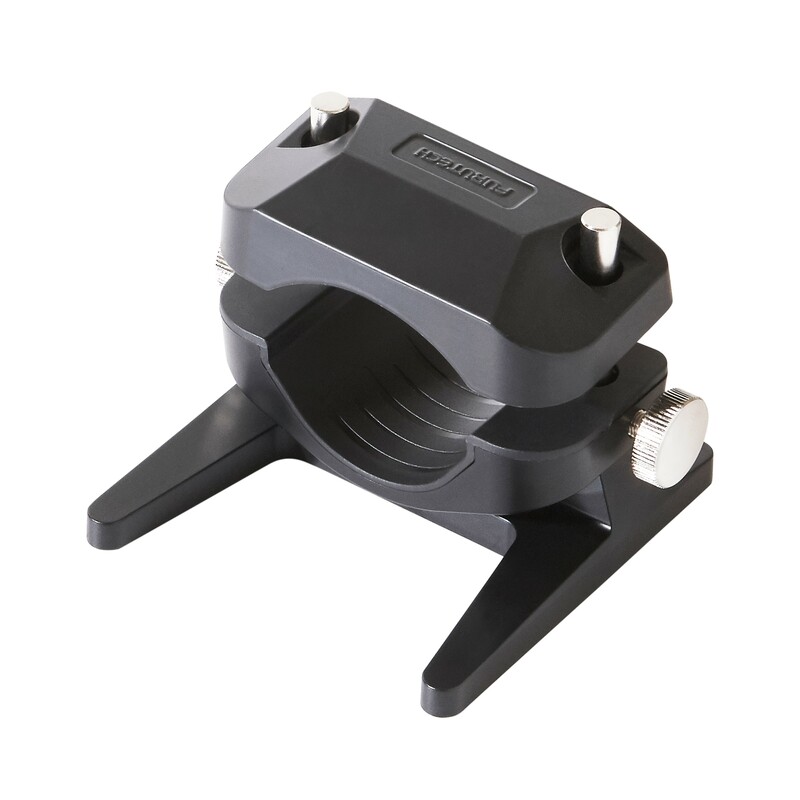 The Furutech NCF Booster Signal Connector and Cable Holder lifts your RCA, BNC, XLR, or any other signal cable off your floor, minimizing their points of contact with the floor, and reduces electromagnetic interference. 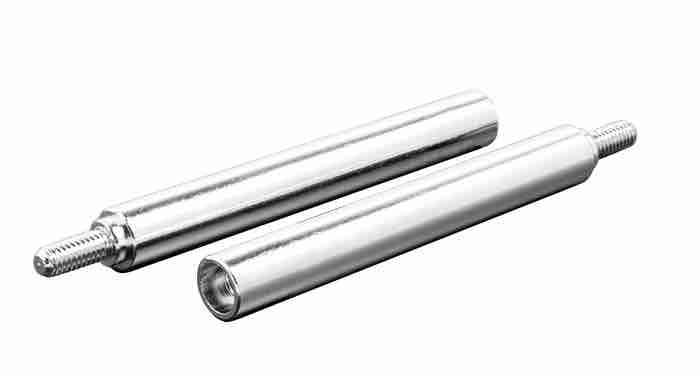 The NCF Booster Signal also excels at providing NCF (Nano Crystal Formula) damping support for connectors and cables at points of connection. The NCF Booster Signal promotes optimum alignment between connectors/sockets and eliminates static, thus boosting performance by allowing a more pure and clear signal. What is NCF? (Nano Crystal Formula)? Developed by Furutech, NCF employs a special crystalline material that has two 'active' properties. First, it generates negative ions that eliminate static. Second, it converts thermal energy into far infrared. Furutech combines this remarkable material with nano-sized ceramic particles and carbon powder for their additional piezoelectric damping properties. The resulting Nano Crystal Formula, exclusive to Furutech, is the ultimate electrical and mechanical damping material. The word crystal, when used to describe sound reproduction, is a truly desirable thing. When you describe a sound system as “crystal-clear,” for instance, you’re referring to its ability to offer an open and transparent window into the original recording event. Audiophiles also use this phrase to suggest a lower noise floor, less distortion, or anything else that gets you, the listener, closer to the music you love. These aren’t “magic” crystals, mind you, but a new crystallized material that actively generates negative ions to eliminate static and converts thermal energy into far infrared. There is nothing mysterious about the way these crystals work—quite simply, they improve audio performance in a very specific and measurable way. The story behind these crystals is simple as well. Years ago, a Japanese research team discovered that these crystals affected sound quality in a certain way—a very positive way. After learning about this research, Furutech decided to test these crystals under strict conditions. After experimenting with countless forms and composites, the Furutech team found a proprietary use for this material that would excel in audio applications. Furutech achieved this by combining these crystals with nano-sized ceramic particles and carbon powder to create a piezoelectric effect, which results in even better damping properties. This didn’t happen overnight—this material is the culmination of 30 years of steady and consistent research at Furutech. Furutech dubbed this material NCF, which stands for Nano Crystal Formula. It works so well, in fact, that many other audio companies in Japan are now working with Furutech to implement NCF into their products. Now it is time to introduce the NCF technology to the rest of the world. The Furutech NCF Booster is a simple device that can be added to any cable or connection in your system. With every NCF Booster you install, you will experience a greater overall sonic improvement. This allows every listener to set the pace when it comes to evaluating the impact of each of these amazing devices. The NCF Booster-Signal is a simple cable elevator that can be placed along runs of cable, or even at the connection point. 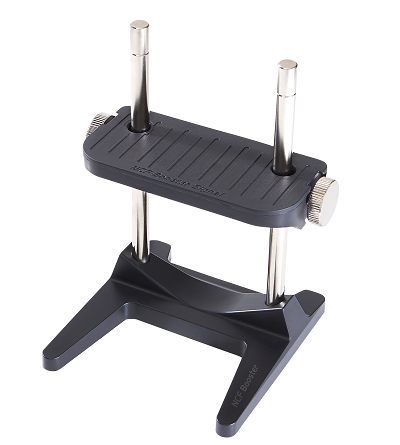 The height of the Booster is adjustable, so you can dress your cabling more efficiently. You can install NCF Boosters throughout your system in a matter of minutes, and immediately notice the results. 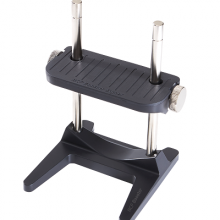 Height: Base level- 82.5 mm/ Extended level- 142 mm approx. 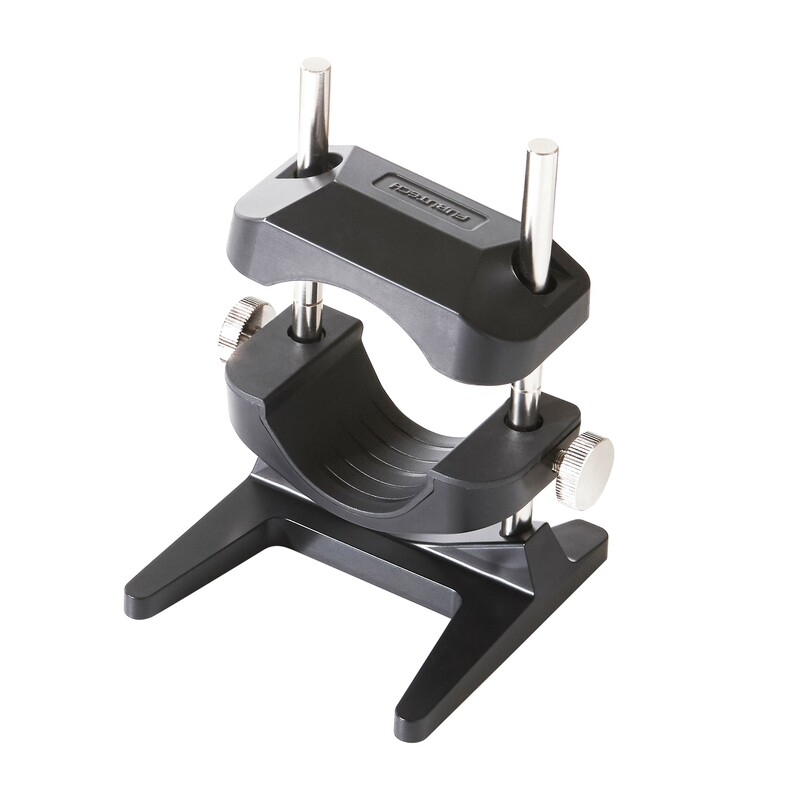 >>> Optional Top Clamp and additional Extension Shafts sold separately.